Expectations for Dave Grohl and company were higher than ever as their grip on the alt-rock scene, a genre they had once dominated over a decade ago, was fading to younger talent. 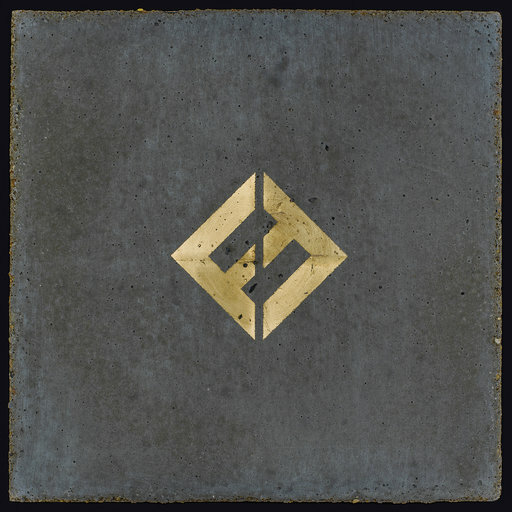 Diehard fans rejoice, because “Concrete and Gold” is quintessential Foo Fighters. This may seem like a description of everything the Foo Fighters have ever put out, but it is especially fitting for this – as is evident in the very first track. An explosive and poignant opener, “T-Shirt” serves as a microcosm for the album as a whole. It begins with a subdued poetic monologue from Grohl, where he establishes the themes of defiance and despair which come to shape the entire album. Then, without any transition whatsoever, pounding drums and a chorus of voices erupt and gradually dissolve into that classic Foo sound which carries out the rest of what is one of the better songs on the album. The good only gets better with “Run.” Released as the first single three months prior, it is one of the few songs on this album I found myself singing through the entire day. With already more than 17 million views on YouTube and 19 million plays on Spotify, there is no doubt this track will go down as one of their greatest hits. Straight forward and hard-hitting, it’s hard not to sway with every down-strum and annoy everyone around you trying to replicate the chanting chorus. “The Sky is a Neighborhood,” while not quite as memorable as “Run,” falls in the same category of seriously catchy music. It’s more stripped down and bare bones compared to “Run” and its slick, commercialized style. In this second single, Grohl really channels his grunge roots with his experience on drums for Nirvana in the late 80’s and early 90’s. It almost seems as if he’s doing his best Cobain impression in this one, and I mean that in the best way. It’s fun and rhythmic in the way “Seven Nation Army” is pumped through stadium speakers during the kickoff of any football game to get the players fired up – it has that kind of energy. “Make It Right” is an interesting one. It sounds incredibly familiar to anyone with a car radio tuned to the local classic rock station due to its heavy Zeppelin influence. It also stands out from the rest of the album because it features pop icon Justin Timberlake. It’s an unexpected collaboration for sure, but it works for the most part. The JT feature, in combination with production from Greg Kurstin – who has won three Grammys for his work with Adele as well as several nominations with Sia, Kelly Clarkson and Pink – really help create that pop feel in this album. Fans of what the Foo have symbolized over the past 30 years might be reluctant to accept this kind of stylistic change. However, the musical influences don’t stop there. While many other songs are reminiscent of The Beatles, “Happy Ever After (Zero Day)” sounds like it could’ve been ripped right off “The White Album.” This is no coincidence either, considering Paul McCartney himself played the drums for “Sunday Rain,” a funkier, psychedelic tune complete with distorted vocals and plenty of pitch-bending on the lead guitar. Every album has its more forgettable tracks and “Concrete and Gold” is no exception. Songs like “Arrows,” “Concrete and Gold” (which includes a full minute-and-a-half long fade out that just feels tedious), and “The Line” are neither bad enough to warrant scrutiny nor remarkable enough to grant praise. They are essentially fillers to an otherwise jam-packed album. Overall, I’d say the Foo Fighters have done just enough to stay in the conversation of the rock scene, while barely nudging at the boundaries of what they have done before. That being said, I would give “Concrete and Gold” a solid 7.2/10.